Long lost is an art in fashion and tailoring that needs to be revived in a way that serves every kind of woman and simplifies that frustrations around purchasing pants that actually fit. Check out this latest article that features the news about the up and coming collection featured by yours truly! Our first night of lavishing in personalized pants happens this week to give our VIP guests the full treatment and for our team to receive feedback on the designs created for Tribute Trousers! Below features the sustainable eco conscious Tencel Jogger in midnight black with it’s slimming tuxedo side seams this is a dream to wear on a day-to-day basis or out on the town! Read more and book your event or private fitting online or by email. Something I personally find helpful to do all year is to reevaluate my mind processes and my thoughts. 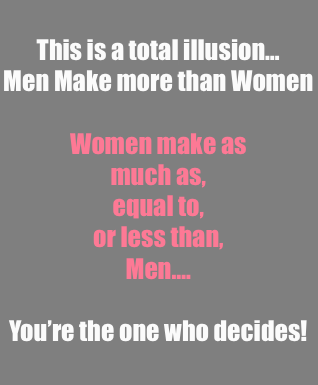 During a drive to town today I caught myself thinking “Why do men make more than women?” Than it hit me. “Who did I buy that from?” “Where and when did I get sold this belief.” So I decided, I decide. This could be said for anything you think or believe. I’d like to add, change what you wear, just for fun! Please share your eye opener thoughts for 2016…. Wrapped-up from strutting the runway the girls took to the streets to let off some much needed sultry walking for fun! Wearing #GeoFashion (low waste production pieces) in bold colour, silk chiffon, reclaimed leather (produced by Rad Juli), wire, and cotton bamboo. Headdresses / fascinators produced for TLC by Lynda Marie and custom jewelry by Lianna Beliveau . 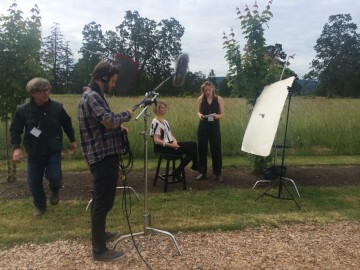 There were many hands on deck back stage the TLC team consisted of Cadie Fox, Andrea Lucik, Connally McDougall, and Alan Smith shooting photography. Special thanks was given to all the models with exclusive sample gifts of I+I=II #GeoFragrance produced for TLC by Karen Van Dyck. The front row received comp-cards from designer also sprayed with the fragrance. Incredible work by the models (left to right) Misty, Aisling, Tea, (Teresa), Bianca (hidden), Aria, Sacha, and Alannah. More images from the show coming! 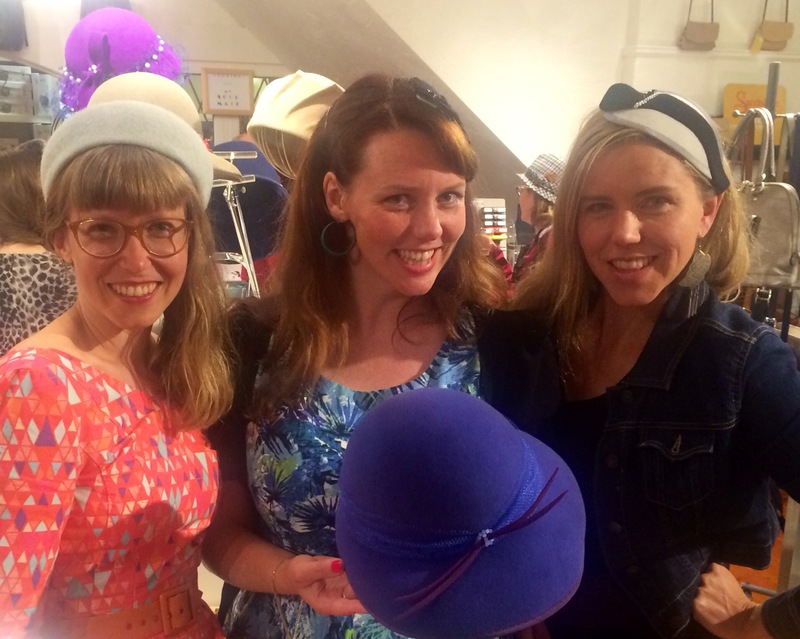 Victoria welcomes home for a visit the worldly and wonderful milliner Tierre Taylor. Her recent publicity with Humans of New York and life in Toronto has kept this bright and talented worker of couture hats a whirlwind experience with lots of national and international buzz. 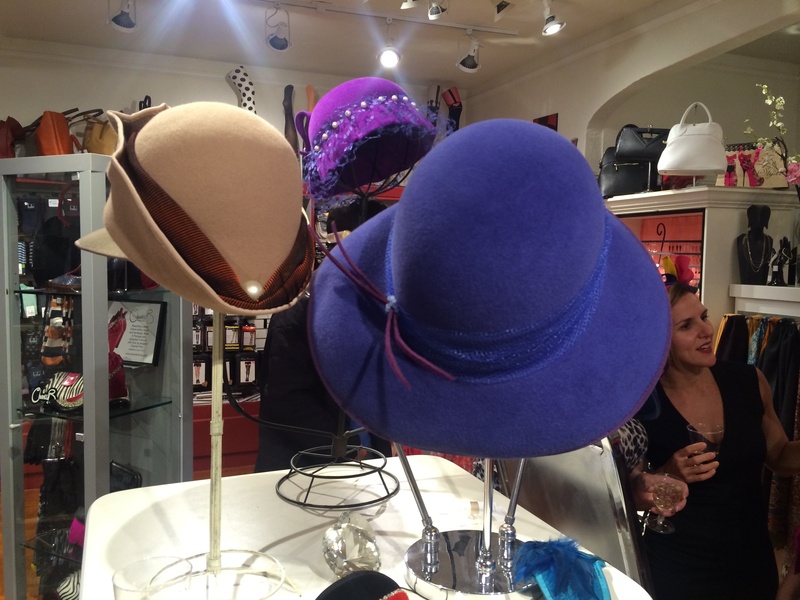 The creative pieces were on show at the new location of Heart and Sole on Fort Street. The open house danced with familiar faces in the fashion and fashionistas. 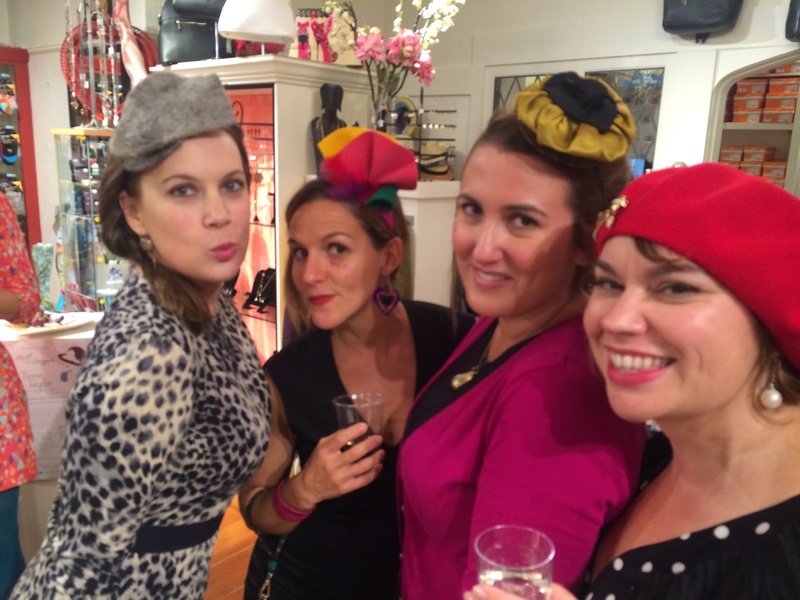 Retro and vintage looks all hand crafted by Tierre as well as the ever popular fascinators! Hosts, store manger Freni and, shop owner, Keith were on hand coordinating their array of fine footwear with Tierre’s exquisite finery for the guests. One week from today Teresa Lindsay will have her latest and first collection launched on the runway of the beautiful inner harbour in downtown Victoria. Spectators are welcome to come down enjoy the night market and see the live show with a dozen other local, talented designers of fashions and accessories from 7:30pm-9:00pm. If you would prefer seating, there are tickets available click here. Teresa will be making several announcements and have some of her latest fragrance samples for those who are VIP Ticket holders! Special thanks goes out to: Melodie Reynolds of Elate Cosmetics, Lynda Bull ofLynda Marie Couture Millinery who is creating my hair pieces / original fascinators of a ‪#‎GEOFASHION‬ kind, Joseph Gonyeau for putting this whole show on, Mandie Konkin for organizing it, Rad Juli and Liana Beliveau for collaborating on custom accessories, Al Smith for his amazing support and helping make sure the runway is going to be lit perfectly, to all the models:Aisling Goodman, Emma Cartlidge, Emma Frisch, Deanna Re, Marlene Roberts, Mira Davis, Kasia Waissmann-Coey, Sonora Angelina, (plus all their parents and families) and support and modelling back-up back stage Meghan Kelly, Cadie Fox, and Catherine Bridge, Cassie O’Neil for the video work for my website (and these photos) which will be up asap, and my parents Peter Lindsay for their love and support, plus Izad Etemadi, Ivan Meade, andConnally McDougall for their constant inspirational work, and for the team (many named above) shooting the photos today for the website which includes hair by Renée Lalonde – thank you, thank you! Luke Taylor of Loomo Creative Co. for bringing my logo to life! Karen of Nature’s First Beauty Bar for helping bring the full experience together with my Fragrance line! Today Teresa Lindsay, founder of Threaditorial StreetStyle and Fashion Project memoirs, announces that she is producing her own fashion collection, designer originals for Spring / Summer 2016, which will debut as a preview on the runway at the second annual Fashion Splash 2015 in Victoria’s Inner Harbour. Designing a collection is one vision in a series of lifelong dreams Teresa is currently pursuing and she is appreciative of the opportunity to participate with the other incredible local designers. “It is a privilege to showcase with my first collection among the many amazing and talented wheelers of the needle in millinery, clothing, lingerie, redesign, and jewellery, of our city and the very important (often behind the scenes) talent related to fashion – the masters of hair, makeup and styling,” shares Teresa in anticipation for the event. Teresa Lindsay Designs’ are inspired and consumed by the fabrics she selects on her many fabric finding expeditions. As a young woman one of her first jobs was working in a fabric store while she studied fashion in high school. 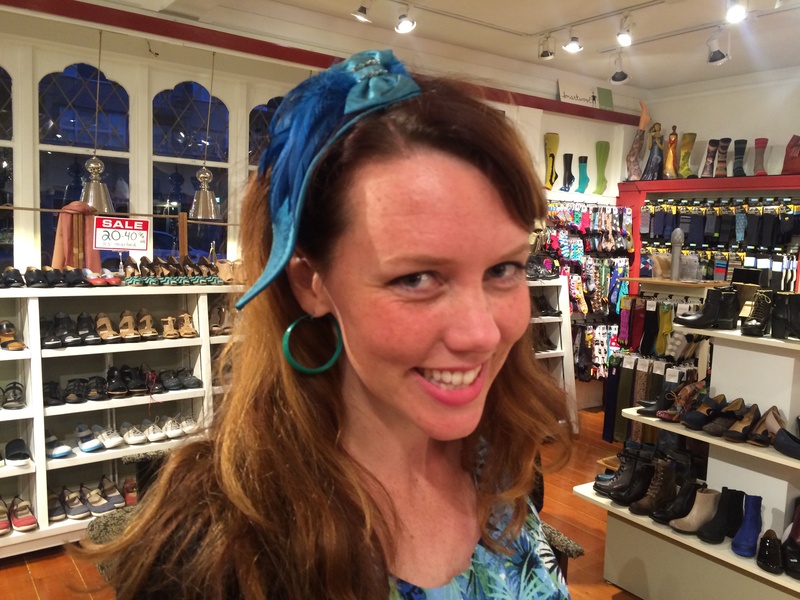 When she walked into the store for work every day, every bolt of fabric spoke to her. With every pattern or texture an image would appear in her mind – very clearly, as to what that fabric would look like as an ensemble or garment. This gift of imagining fabric into clothes has never left her. Her work in the areas of manufacturing swimwear, image consulting, styling for magazines, and as spokesperson on cruise ship television for shopping and high-end jewellery only covered up her desire to work as a fashion designer. This collection, a series of works she titles “Siren,” is created from a process for designing clothes she has coined as “GeoFashion” – made of shapes and with a conscious effort to produce an extremely “low waste” factor during the production process. The fabrics are sourced from remnants, bolt ends, refurbished fibres, eco-fabrics and more. The efforts to effect little, and have high-end couture impact is key to her concept. Each one of the handmade items is a one-of-a-kind. There are no patterns, to ensure there is no exact duplication or replication. She plans to specifically create originals and fashions by commission. Designing for each person from each fabric; each piece inspired by the fabric at the time it is discovered. Some edges are raw and silks that are shear, soft and flowing – her use of fabric and design are not typical. “I want women to feel like they are floating, to exude beauty and femininity with confidence. This is the purpose for which the fabrics I choose are mostly shear. Onlookers will have to guess where the body stops and the fabric begins. Some of the designs may remind people of countries or places, or even cultures, but I can assure you it is the vision of GeoFashion and the drape of the fabric that is behind the inspiration. Much of history could be referenced, even Roman times because of the simplicity. I love this idea – the idea of being less restricted. 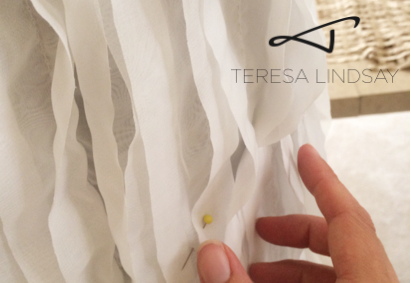 Teresa plans to share a few sneak peak images of the behind the scenes fashion construction. Teresa’s behind the scenes video updates are expected be posted before the first of August. Let the imagination begin… we welcome your comments and curiosity! 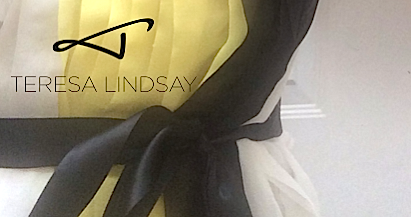 Stay tuned, as Teresa Lindsay’s fashion website will be released soon! The photo shoot for the collection “Siren” is scheduled for the first week of August 2015. And the Second Annual Fashion Splash fashion show will be held August 22nd in the evening. ORDER YOU VIP Tickets here! In collaboration with many fashion projects, designers and fantastic people of fashion in our city Teresa has also taken on contributing to a local magazine that is wanting to include her inspiring and uplifting suggestions and tips to support women regardless of their status and age. 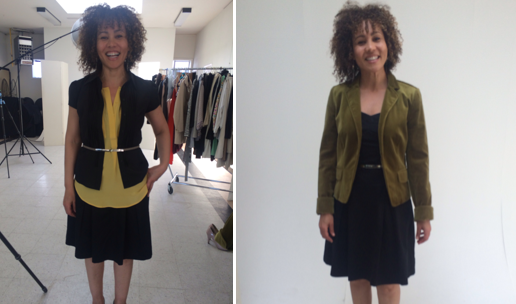 Check out Teresa’s latest work on What’s for Fall 2015 and her article on Waist? What waist? that will help you discover some fashion illusions for the that middle area of our body! Pick up a copy at the closest grocery store in Victoria, BC or review their website Senior Living. Watch for updates in future articles there is more to come! Want to be inspired? What are some life lessons you have experienced? Threaditorial Founder Teresa Lindsay shares the purpose for her work celebrating the people she photographs in #streetstyle images and how celebration has shaped the world around her. Watch this fantastic short video shot by Cassie O’Neil Cinematography, taken during the Illumination Event with other great motivating speakers earlier this year, (2015). 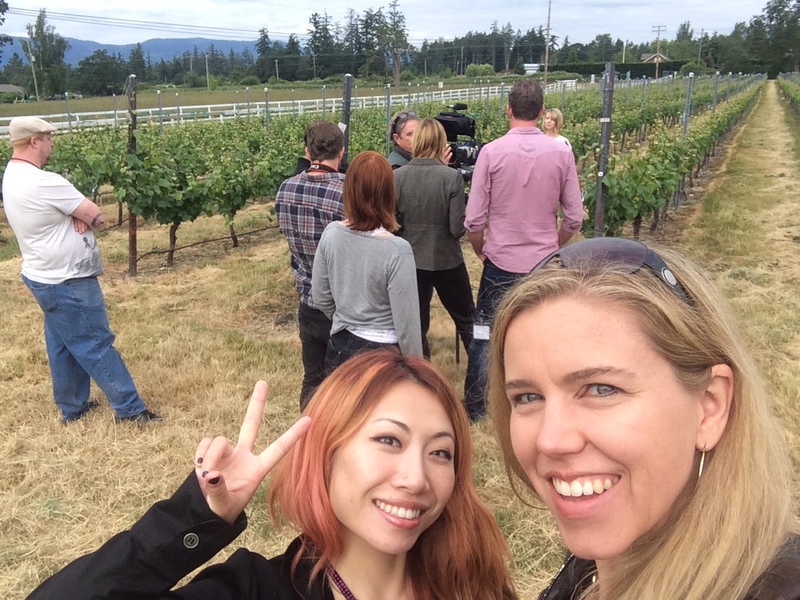 Two weeks behind the scenes with Epicure on location! With my regular full schedule I had the additional opportunity this past few days to coordinate fashion on this brilliant production by OneNet Marketing. It was truly rewarding. It’s one of those experiences where the people and professionals involved really make the whole thing twice as rich. There was an incredible team behind this project and vision from Epicure (the client) that was truly inspiring! Beautiful farm shots, golden hour at the beach, and two days at two stunning homes with white rooms and pristine views. Magic! At the start of summer the wardrobe options on location were blissfully staged for indoor dinner cooking, bbq outdoors, business meetings and strolls on the beach. With incredible weather it made everything easier for getting to and from with full racks of clothing! 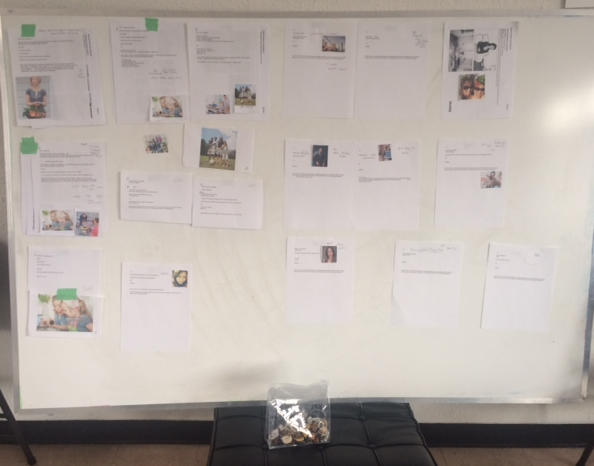 Working from mood boards and scene sketches helps us decide on the looks and then allocate the models, roles, sizes and scenes all together on a styling board. 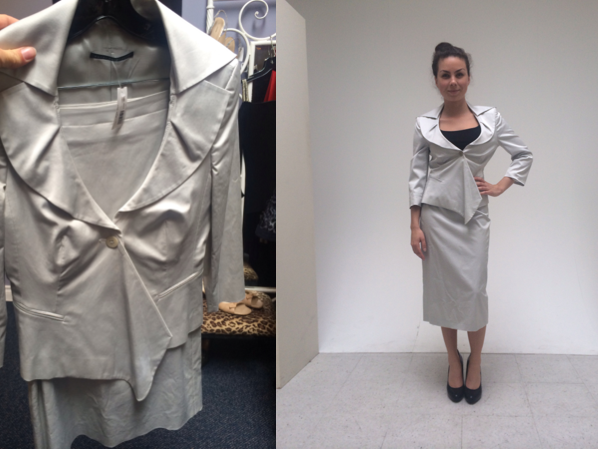 Once we have a theme and the models in mind for each scene (and know who is with who as to not clash with colours and style the wardrobe to work together), we can then go sourcing! To through in some helpful advise on fashion, I want to share that if people become familiar with cut and with fabrics it gets easier to determine how something will look – rather than just “off the rack.” Here are a few examples of what items looked like before someone tried them on. Then you can see for yourself just how amazing the difference is when there is a body in the clothing. Cadie wearing a two piece day times suit… check out how the angles and drape are so unique. 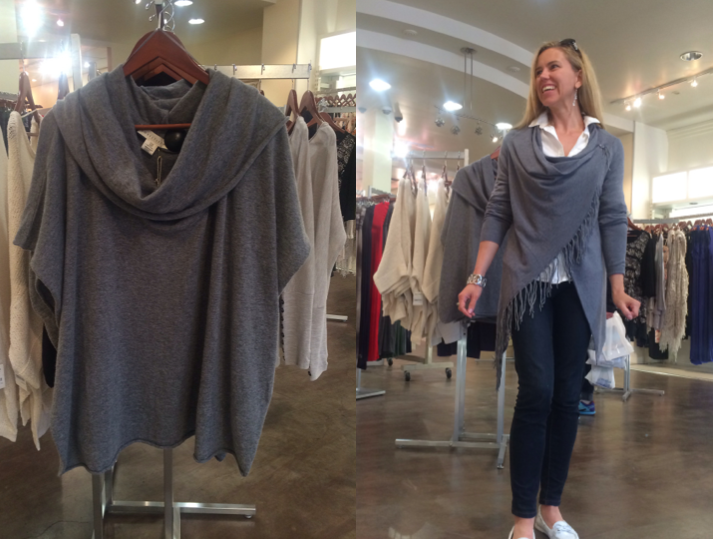 Teresa wearing a shawl – two types one that is a solid piece and one that wraps with tassels worn with a blouse. 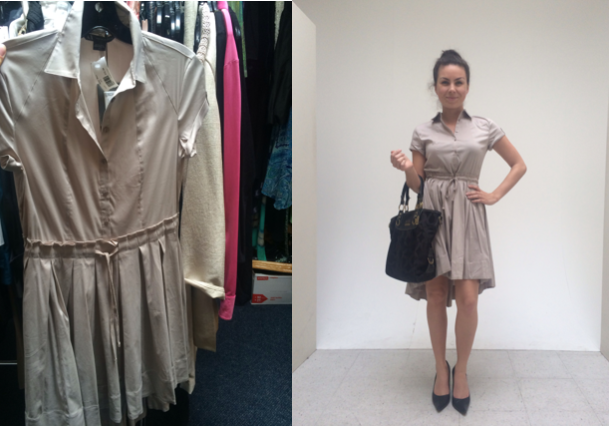 We dressed our main actress Paulina and even helped her with her own wardrobe. Selecting casual and formal versions for various scenes. Hair styling guru Eriko with Teresa in the foreground of the set in the vineyard. With the One Net “A” Team. Did we mention we had a drone for arial shot? 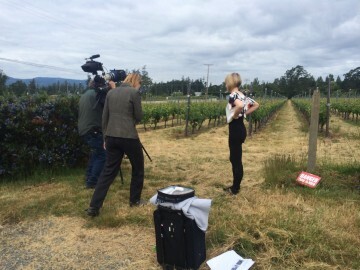 On set, location Epicure farms – interviewing CEO Amelia Warren. In the fields shooting with model… Mary Rubin (photography Kelsey). 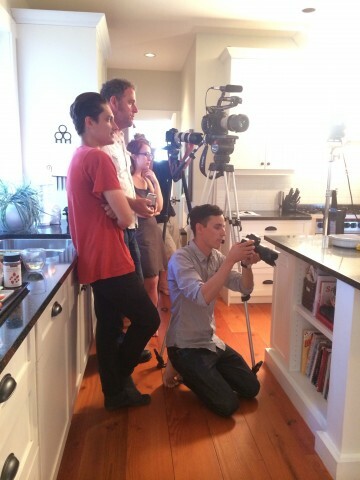 Radika and Dylan waiting on set for their moment in the background of all the kitchen action. We finish off the day on location at the beach during the golden hours… spectacular day! Ocean front suite on Dallas Road is our hold up for the whole day, day 3. 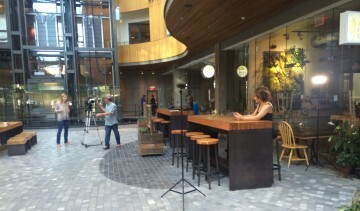 Then at 5pm we break out to shoot a few more coffee shop meeting shots in the Atrium. That wraps up 2 weeks of shopping, sourcing, and 8hrs or more on set! 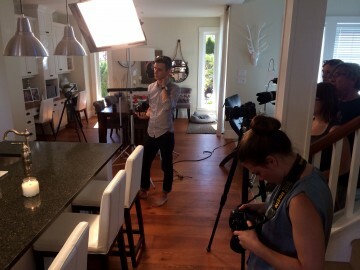 Wardrobe styling that mattered for a professional video short… love it! Everyone looked amazing and the team was incredible to work with – Nicole, Michael, David, Erin, Eriko, Rhonda (and team), Kelsey (photos), the actors, and models – thank you for a great time and a memorable experience. Can’t wait to include a link to the final product. Thank you also goes out to all the fashion retail stores who were willing to contribute clothing! Our latest project to show that all women are beautiful and that it is more than skin deep included some amazing volunteers to help share their inner beauty on the outside in a way that…..